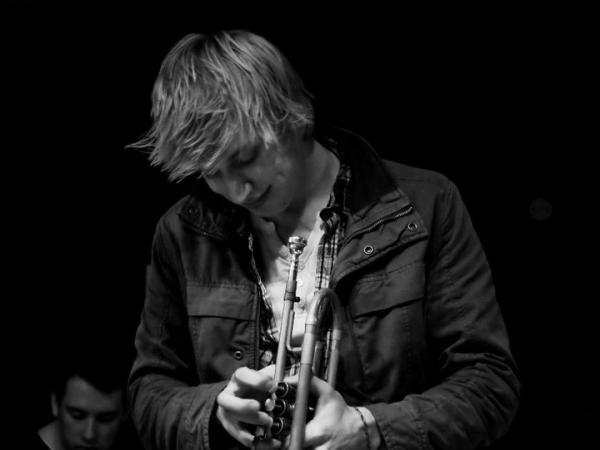 Trumpet and flugelhorn player and bandleader, Henry Spencer, together with his band Juncture, released their debut album The Reasons Don't Change on the Whirlwind label in January 2017. In my review I described the album as 'outstanding' and 'engaging'. 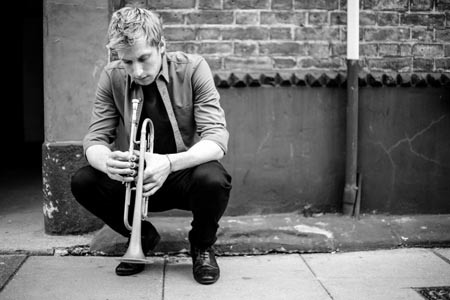 I wrote how it: '.... starts with a formidable trumpet solo. 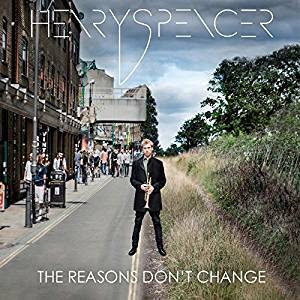 Within thirty seconds you are listening to Henry Spencer's technical skill, creativity and emotional expression - and you'll know that is why I use a word like 'outstanding'. The track also confirms that this is not just about Henry, but that he has with him talented musicians who have developed an understanding from working together over a number of years and who make their own valuable contributions'. Juncture are: Henry Spencer (trumpet, flugelhorn), Nick Costley-White (guitar), Matt Robinson (piano, Rhodes, Wurlitzer, melotron), Andrew Robb (bass), David Ingamells (drums), and the Guastalla Quartet - John Garner, Marie Shreer (violins), Agata Darashkaite (viola), Sergio Serra (cello) on one track. I was not alone in my opinion. 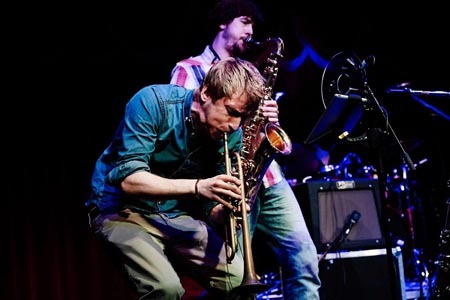 John Fordham in The Guardian wrote: 'Trumpeter/composer Henry Spencer is a recent conservatoire graduate, but his spectacular technique and strong musical character make him sound like an old hand' and allabout jazz.com described it as: 'A truly gorgeous record and early contender for Album Of The Year' - something to remember when voting for 2017 releases takes place in 2018. I wasn’t sure how to approach this. I couldn’t decide whether to go for the in-depth, school assignment-like, academic analysis of the two tracks from The Reasons Don’t Change, or talk about some of my general thoughts and approaches to music, playing and composing. I have mixed feelings about each option - so I think I’ll do a bit of both. The music that I always go back to wanting to listen to, play and compose most is that which I find to be emotive and therapeutic, as well as artistically inspiring. I’ve always been drawn to music that is driven by sincere emotional intent and creative expression derived from genuine experience. For a while I actually wanted to be a singer-songwriter. This was probably because of how I found lyrics to be a raw and quite direct way of dealing with experience (and teenage angst). They allow us to be unambiguous and openly honest, and can be an accessible way to communicate sincere emotional expression. I aim to approach instrumental music in the same way - with as much emotive clarity as if the music had lyrics. It’s an outlet with the same emotionally evocative intent. It’s a release. This intangible, abstract kind of expression goes beyond our ability to communicate with words. Without lyrics, it’s possible for the listener to engage with the music in a more personal way. The listener and performer are freer to interpret the music, relating it to their own personal experience. Even now, I often come up with lyrics as part of the writing process. It can be a useful way to help increase the ‘lyrical’ nature of the melodies and also to stay connected to the original motivation behind writing the composition. As a composer/performer I view my challenge and responsibility as being to compel the listener to really follow, engage with and relate to the music’s narrative. Whether they understand or appreciate the theoretical or technical content is irrelevant. Each composition on The Reasons Don’t Change is a response to and my way of dealing with specific personal experiences. I don’t really want to say the exact motivations for writing each tune because I want the listener to be free to interpret and relate the music to their individual understanding. My approach to improvising during performances is similar in a lot of ways to my approach to writing. I aim to build an engaging and emotive narrative but with the added spontaneity from constant listening and musical interaction with the other players. When writing, I always spend a lot of time thinking about the ‘sound world’ of each composition. The layering of parts, texture and instrumentation and the use of technology and production techniques, are all part of trying to best represent the composition’s original musical and emotional intent. For the making of The Reasons Don’t Change a lot of consideration went into the sound production, both before and after the album recording sessions in the studio. Many, many hours were spent working with the producer, Paul Whalley, and the mixing/mastering engineer, Dave Darlington in New York. In fact, before the actual album recording sessions, we recorded every track in different studios around London. This meant we could explore and experiment with different ideas and production techniques. These production techniques, sometimes subtle, were used to enhance and not overwhelm each composition. They also allow space for the unpredictable, spontaneous improvisation and group interaction. There are moments throughout the album where hints of production peek through the music. Such a moment is during the outro of ‘On The Bridge’ where we used a vintage ‘Space Echo’. There’s actually even footage of this. Here is a short video from the studio of Paul Whalley and George Murphy (Studio Engineer) ‘printing’ the Space Echo track live. I approached writing this tune quite differently from the rest on the album. The whole composition uses practically only two chords (almost), but allows room for the musicians to add their own harmonic extensions or implications. This was not in any way a preconceived compositional decision or device, it just felt natural with the flow of the composition and adding much more harmonic detail felt unnecessary. The detail in the melody and the overall shape and development of the composition’s narrative was most important. The gradual building and varying of the dynamics and polyphony, during this through-composed track, is intended to draw in the listener. The tunes in On The Bridge are examples of approaching writing as if there were lyrics, and of ‘sculpting’ the melody. Sorry, I really don’t mean to sound pretentious when using a word like ‘sculpting’, it’s just so often when writing music I find it’s a lot to do with chipping away at material, getting rid of the unnecessary information, until only what you really want to say is left. Even though the melodies are quite simple, a lot of consideration went into the smallest detail. Decisions were made (and revised) about every note’s placement and for how long it lasts within each phrase. This somewhat ‘OCD’ approach to composing (as well as the recording/production process) contrasts strongly with the mindset of being open to spontaneity and group interaction during the actual performance. Listen to On the Bridge. This composition clearly contrasts with On The Bridge in a lot of ways, although the compositional approach to building the narrative and emotively drawing in the listener is the same. There are aspects of this composition that correspond with ‘standard’ jazz tunes. The time-feel is 3/4 swing and the harmonic approach is both quite functional (particularly during the first half of the form) as well as being modal. The soloists also improvise over the same form as the ‘head’. This overall structure contrasts strongly with the through-composed approach of On The Bridge. I arranged the main material by extending the introduction and outro. I also wanted to further enhance the flowing, lyrical and reflective nature of the composition by including strings as part of the ensemble. The strings add depth to the ‘sound world’, as well as to the harmonic and melodic detail. A huge amount of work went into each individual track on The Reasons Don’t Change and during every stage – the composing, rehearsing, recording and production. I’m fortunate to know and work with incredibly talented musicians, producers and studio engineers. Playing live is what this is all about. We went on tour with Henry Spencer and Juncture shortly after the album launch, and more touring is planned. I love and am always excited about how every performance goes in different directions. With this being the first album released in my name, I was determined to make a strong artistic statement as I very much intend to keep on the regular output with composing, recording, releasing and touring. I’m really excited about sharing what’s coming next! Click here for details of the album The Reasons Don't Change. Click here for our review of the album. Click here for Henry's website. 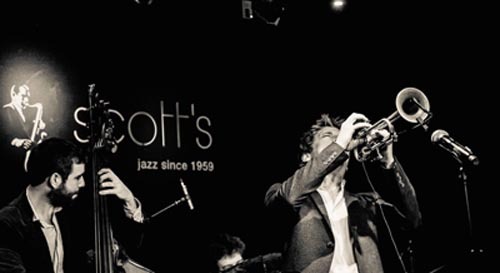 during this year's London Jazz Festival.